To be very clear, Summit Entertainment is not making a Dracula movie with "Vlad." They are making a movie that will detail the early years of Prince Vlad the III. 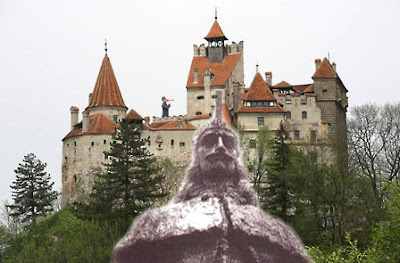 The film does not follow the myth/legend created by Bram Stoker based on Vlad and his deeds. The idea is to make a semi-realistic and gritty account of the historical figures evil deeds. Screenwriter Scott Kosar has been tapped by Summit Entertainment to re-work Hunnam's original script with director Anthony Mandler's ideas. Kosar who previously penned The Texas Chainsaw Massacre remake, The Machinist, The Amityville Horror remake and the upcoming "The Crazies" remake. Kosar seems like a real nice fit to add what Anthony Mandler wants included in the script. Kosar has done a decent job on all of his previous scripts and this news has me even more excited than the original news. Why am I excited for this project? Well a new spin on Vlad the Impaler instead of just another Dracula movie created my initial intrigue. I really enjoy the vampire genre, but seeing more movies about Dracula, just has me yawning. Flip that and give me a quasi-realistic account of Vlad and his evil ways, and I am anxious to see the film play out on screen. Director Anthony Mandler is a unproven talent, but from what has been reported on his test footage, I'm intrigued to see how this turns out. Add Scott Kosar's talents and my excitement definitely starts to get higher. Kosar has impressed me with his work to date and seeing what he can add to "Vlad" is tantalizing to say the least. Stay tuned for more news on "Vlad" as it becomes available.